The Democratic Governors Association has raised over $1 million off of the news that News Corporation gave $1 million to the Republican Governors Association. (CNN) - The Democratic Governors Association announced Tuesday that they have raised over $1 million to "match" the $1 million that Fox News' parent company, News Corporation, has given to the Republican Governors Association in the 2010 election cycle. The announcement demonstrates the success Democrats have had painting Fox News as a mouthpiece for the Republican Party. "When Fox News' parent company, News America, pumped a million bucks into this year's 37 governors' races, I bet they thought they'd be helping the Republican Governors Association snuff out Democratic state leaders and congressional majorities for years to come," the DGA's executive director, Nathan Daschle, wrote in an e-mail to supporters Monday. "Boy, did that backfire." The DGA raised nearly $200,000 in the last 48 hours according to Daschle's e-mail and another e-mail sent Tuesday by DGA finance director Colleen Turrentine. The RGA did not immediately respond to CNN's request for comment. When news broke earlier this month of News Corporation's massive contributions to the RGA, Democrats pounced. "'Fair and Balanced' has been rendered utterly meaningless," Democratic National Committee spokesman Hari Sevugan said. "Any pretense that may have existed about the ties between Fox News and the Republican Party has been ripped violently away." News Corporation spokesman Jack Horner defended the donation. "News Corporation believes in the power of free markets, and the RGA's pro-business agenda supports our priorities at this most critical time for our economy," Horner said in a statement to CNN. The only right thing to do would be for News Corp to donate $1 million to the DGA or DNC. Of course to prove just how fair and balanced they are. Don't you mean News Corp? "When Fox News' parent company, News America (sic), pumped a million bucks into this year's 37 governors' races"
Congants DGA. Thank you Dems for contributing. Please continue. Help stop Murdoch, the Taliban Prince and all Right Wingers!!! fox play pretend news is trying to buy the election with money and emotional crap like beck 's play pretend martin luther king event. watching all those middle aged white people pretending to "retake" the civil rights movement would have been amusing if it were not so blatantly disgusting. what is really sad is how easily all those people are lead by a pied piper who is so arrogant with his lies and his lead by emotion tactics. people looking for a reason to hate or to disenfranchise the current pres and his administration is thrilled with beck because they can feel good about being able to generate energy through emotion -and thinking that their lies now have God's OK-sad-and also dangerous. eventually beck will be like mCcarthy and fade into a shameful period of the past–but in the meantime a lot of damage will be done. Everyone knows that Fox trash isn't fair and balance. I can't believe they are that stupid to only donate to one side. Much of Fox's news is clearly biased. If you look at their pundits on during the prime time hours, they are so slanted to the right that I find it hard to believe that they can be "fair and balanced" to any one news story. I'd believe that they could turn 2+2=4 into something related to the perceived homosexual agenda when it is just math. this just shows the hypocrisy of the republican party and news corp. afront they would say their's is your best interest but in realitty they would put ahead their own agenda ahead of the people. i hope the american people see's this horrible truth behind this party and once and for all remove them from what they still have in authority come november. Only the most hopelessly partisan Tea Partiers could not see Fox News as anything but a mouthpiece for the Republican Party. Nobody needs to paint Fox as anything but what it is. Thank you, US Supreme court (5-4). Does anyone really think that huge amounts of money from corporations to political organizations is done with the best interests of the people of our country. 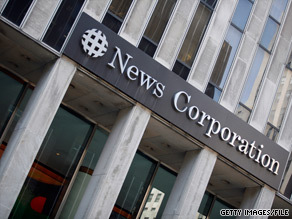 It makes me ill to see that News Corporation (owned by an Australian right-winger, remember?) is permitted to corrupt our process with huge amounts of contributions. Fox should lose the word "News" and replace it with "Propaganda". Fox will say anything, mostly lies, to get you to vote for their beloved GOP. With Steele as their "spokes person, heck they need somebody. Fox might as well do it.